U.S. economic growth fell to 1.5 percent during the third quarter of this year, according to the Bureau of Economic Analysis. The slowdown was widely anticipated after inventory growth in the previous two quarters significantly outpaced demand, encouraging private companies to delay restocking warehouses. Although the headline figure was disappointing, many of the details of the GDP release lend optimism to the outlook. 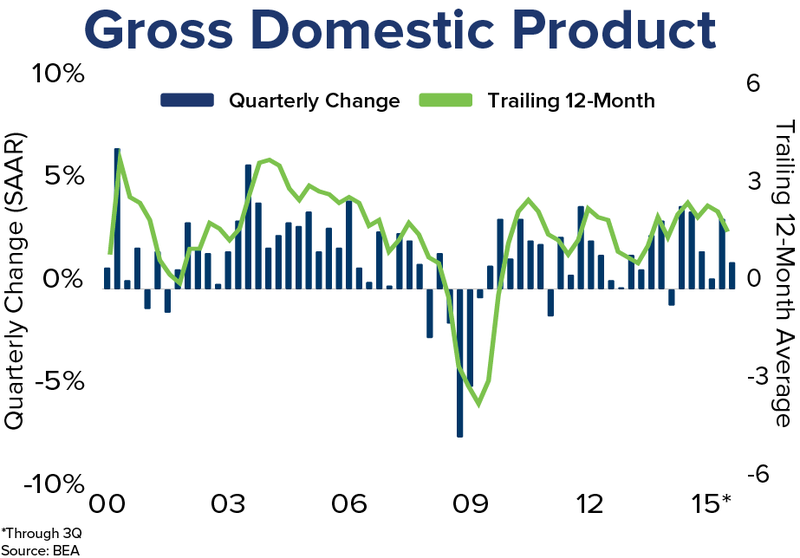 Furthermore, the trailing 12-month average growth was 2 percent, reflective of a modestly expanding economy. Consumer behavior indicated a healthier economy than the topline reading had suggested. After pocketing much of the “pump dividend” from lower gas prices through the first half of the year, consumers appeared to open their pocketbooks during the third quarter. Consumer spending increased 3.2 percent in the July-September period as low inflation, inexpensive gas, and a tight labor market encouraged households to spend more freely. While job growth will likely fall short of 2014 levels, initial jobless claims are at the lowest level in more than 40 years, helping support a 3.5 percent rise in disposable income during the period. The initial GDP report for the third quarter of 2015 leaves a potential interest rate hike in December a possibility. However, several additional data points will be released between now and the Fed’s next meeting on December 15th, including October and November employment figures. The Fed uncharacteristically mentioned the possibility of a December rate increase after their last meeting, further advancing the argument that the Fed is ready to move forward. Alternatively, the Fed has pegged interest rate hikes to several indicators of economic health in the past, eroding confidence that the FOMC will weigh the balance of economic indicators in favor of normalizing monetary policy. Currently, there is approximately a 50 percent chance the Fed will shift monetary policy for the first time in a decade before the end of this year. 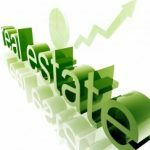 Interested in Maine Real Estate Investments?